Please arrive 15 minutes before roll out to sign in. All riders must sign the wiaver form. Riders under 18 must have parent or guardian co-sign waiver and riders under 14 must be accompanied on ride by parent or guardian. All riders must ensure that their bike is in good mechanical condition. Riders should cary water, tube, and tools to repair a flat. Helmets are required on all rides! Weather varies with the season, dress in layers or apply sunscreen accordingly, and wear a helmet. Weather in NC can be very warm. Bring plenty of beverages and snacks as rides in rural areas may not have many refueling options. Rides often continue through light rains; however, bad weather is always a factor in ride safety. Cancellations may occur with uncertain forecasts and should be expected with heavy rains and/or lightning. First time guest riders are welcome to join us. If you enjoy the experience, please consider joining. 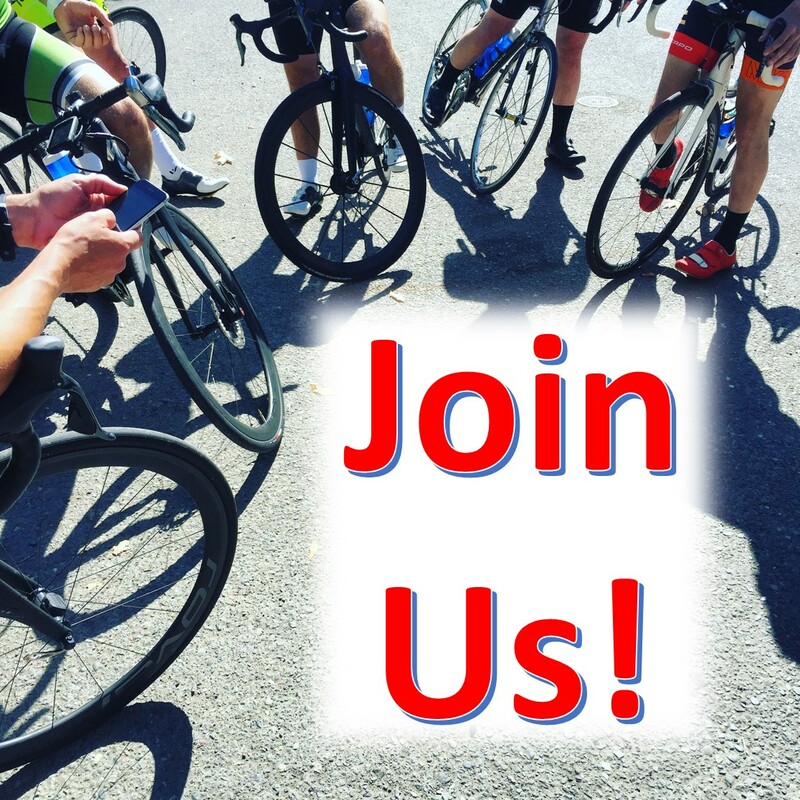 Membership dues supports the club and cycling advocacy and extends insurance coverage to you during club rides. Members are entitled you to discounts with club sponsors.